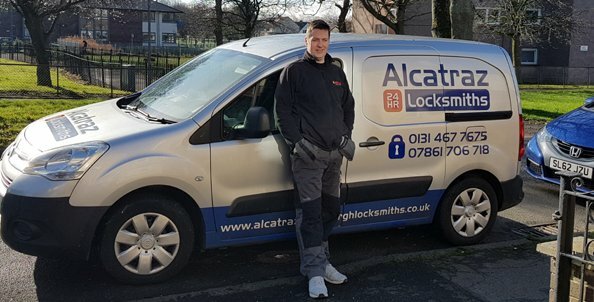 When you require the service of a locksmith Balerno engineer, look no further than Alcatraz – Edinburgh locksmiths. We are determined to provide a service which is unrivalled by any other locksmith company. We are not happy unless the customer is fully satisfied with the service received. In addition, we want the customer to know they have been offered the best price available for the work that’s been done. This is why we welcome the chance to beat any other like for like, quote for the same specified job. As we are based in Corstorpine in west Edinburgh, we can provide a locksmith Balerno, and locksmith Currie service, 24 hours a day, and in under 20 minutes of receiving the call. If you are locked out, we can have you back in your home in just a few minutes by using lock picking Technics and other forms lock bypassing. If we are busy on other job when your require our service, don’t worry. We have Edinburgh locksmith colleagues who will cover the job for us, at the same price as we would have charged. This kind of co-operation is vital in our line of work. It insures the customer receives the service of a genuinely local firm, and not a national company who charges huge sums of money for the same kind of work. sometimes when your locks are not working properly, it could be down to badly cut keys. When people take keys to a key cutting shop, the shop assistant may buzz it through a key cutting machine in a few seconds, and send you on your way. However, when you get home the new key might not work properly in the lock. This is where the mobile key cutting service wins hands down!